"Be inspired by Bulgari’s exquisite SS17 accessories collection at the design house’s in-store pop-up. The collection celebrates nature, and features new Scaglie Beads bags, which combine leatherwork and gems; the Serpenti Forever handbags in hues of precious gemstones; and a new Pixel Python design. 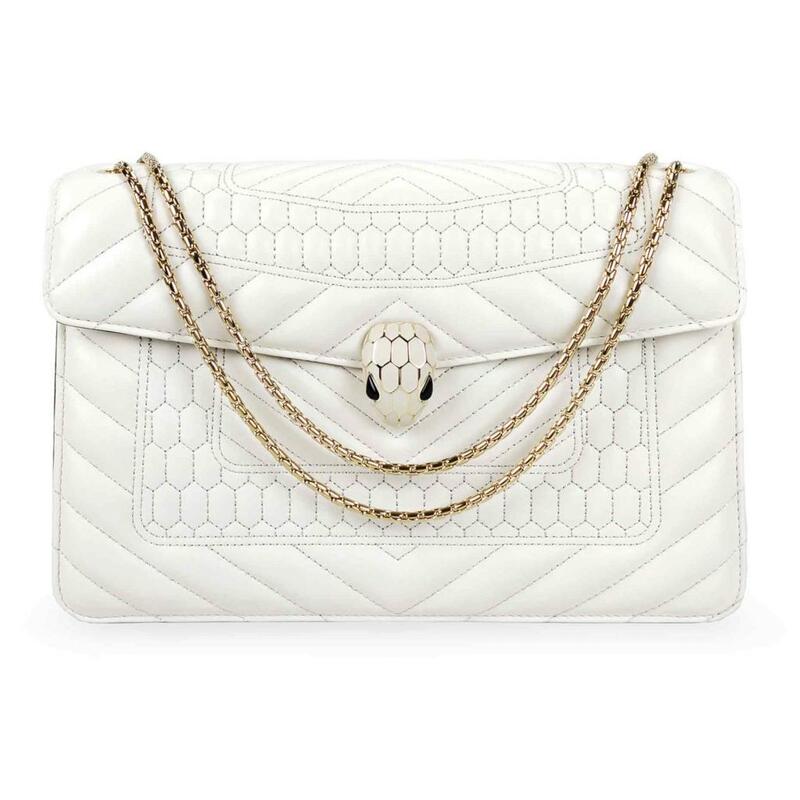 The brand has created three exclusive iterations of the Serpenti Forever handbag for the pop-up; in striking white agate with Quilted Scaglie calf leather, the bags are a stylish nod to spring. Among the treats, you’ll also find calf leather pouches in Cloud Topaz, Orchid Amethyst and Pink Spinel." Find it in the Fine Jewellery Room on the Ground Floor.